The mission of Connect Community Church is the same mission Jesus gave his followers: Go therefore and make disciples of all nations, baptizing them in the name of the Father and of the Son and of the Holy Spirit.  The vision of Connect Community Church is create a community of authentic believers and to witness a city transformed by the life changing reality of the gospel, as people come to know Jesus as their Lord and Savior. We will relentlessly pursue and love people into a passionate relationship with Jesus. Deliberate, desperate, and determined to see Heaven touch earth by displaying an authentic life of worship to God. Using love as a verb, we put compassion into action, love into the church, and Jesus into the world. We believe in the big "C" Church, because together we can do infinitely more than we could do apart. We will lead the way with irrational generosity because we truly believe that it is more blessed to give than receive. Our God is limitless and we will not insult Him by praying it safe, but we will believe for the impossible and take risks to see the extraordinary.